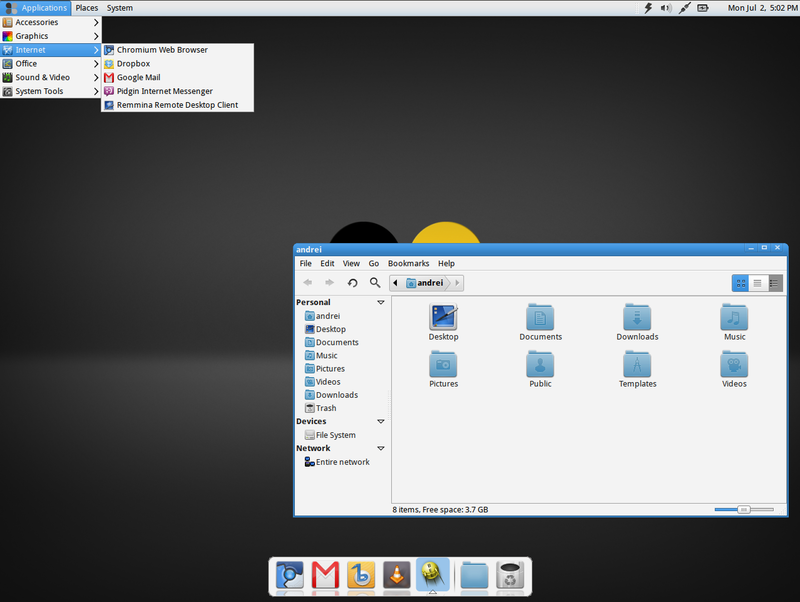 Fuduntu, a Linux distribution based on Fedora that comes with GNOME 2 by default but provides rolling updates for non-GNOME2 packages, has reached version 2012.3. Fuduntu 2012.3 doesn't come with major desktop changes except for a new terminal font called Infinality Freetype: Avant Window Navigator is still used as the default launcher, there's a GNOME 2 panel on the top and so on, but there are many changes under the hood like updated GCC to 4.6.3, Anaconda 16, GRUB 2 used by default and more. In Fuduntu 2012.3, it's also easier to enable a proprietary driver: simply install nvidia-kmod, catalysst-kmod, wl-kmod or kmod-VirtualBox-OSE and restat your computer. Currently, Fuduntu supports Nvidia display driver 290.10, ATI Catalyst 12.4 and Broadcom Wifi Adapter driver 5.100.82.112, but there's an additional "kmod-staging" package that provides newer, but unsupported drivers. For more information, check out the official Funduntu 2012.3 release announcement. Thanks to Fewt for the tip!